"Heidi and I just put the finishing touches on this Graphic-Mural for the student body at the Ellen Ochoa Prep Academy, a Magnet High School in the El Rancho Unified School District in Pico Rivera, California. 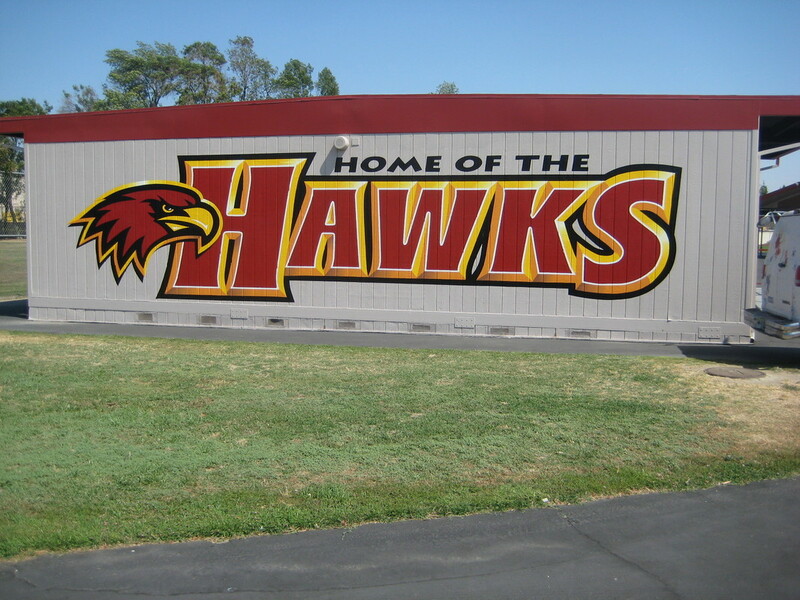 We're proud to have completed another fun School Graphic-Mural project for one of our favorite, long-time clients. We have all the licenses, insurance, and fingerprinting your school district requires. Call us now, and soon we'll have your school looking great! School Pride: Let it show!